We’ve found great deals at 207 hotels! 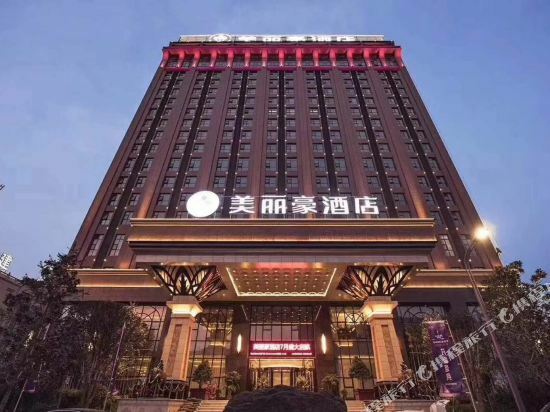 The Yangling International Conference & Exhibition Center Hotel (Yangling Guoji Huizhan Zhongxin Jiudian) is a business hotel conveniently situated close to the Yangling International Conference & Exhibition Center. This Xianyang hotel offers accommodations to suit all budgets ranging from standard rooms to executive suites. 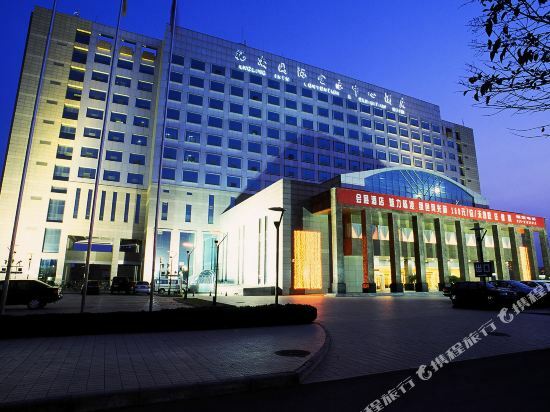 Situated in <a target="_blank" href="http://www.chinatravel.net/china-destinations/xianyang/cityintroduction-198.html">Xianyang</a>'s Qindu District, the Hongluo Harbor Holiday Hotel (Hongluo Jiari Jiudian) is conveniently situated for access to local shopping areas, and about 2 km from the Xibao Expressway. Dining facilities include a Chinese restaurant with several opulent private dining rooms seating 5 to 25 guests. A selection of meeting rooms, multifunction banquet halls and reception rooms are available for business events, press conferences or parties. To relax, guests can head to the spa or enjoy tea at the teahouse while reading or catching up with friends. 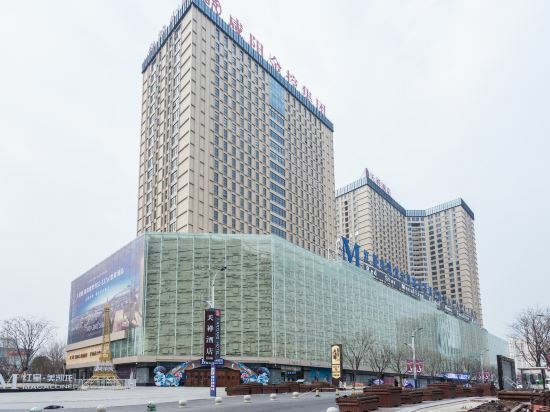 The Meilihao Hotel (Xianyang Xixian New District) is one of the newest hotels in Xianyang, having opened in 2018. It's easy to keep connected with the property's Free in-room Wi-Fi. Xi'an Xianyang International Airport is located approximately 15km away while Xianyang Railway Station is 21km away. The Ocean Spring Grand Metropark Hotel Xiangyang (Xiangyang Haiquanwan Weijing Guoji Dajiudian) lies on the southwest side of Xiangyang in the direction of Xi'an. Rooms options include a non-smoking floor and handicap accessible rooms. Guests can choose from Western and Chinese restaurants in the hotel. A business center and meeting facilities as well as the hotel's currency exchange, fax and copy services are useful for those traveling on business in Xiangyang. Other guests can enjoy the convenience of the airport pickup and taxi booking services at this Xiangyang hotel. Free Wi-Fi in public areas and parking are also available. Opened in 2017, the Licai Tianxiang Hotel is a great accommodation choice in Xianyang. With Free in-room Wi-Fi available, you'll have no problems keeping connected. With Xianyang Qindu Railway Station just 3km away and Xi'an Xianyang International Airport only 18km away, transportation is very convenient. If you want to stay at the best hotel in Xianyang, Trip.com is here to help! Book your hotel on Trip.com for an amazing travel experience. For trips in Xianyang, you can choose hotels around the city center or accommodations near popular attractions. If you travel to China, visiting Xianyang is a good choice. Cities near Xianyang include Xingping, Liquan, Jingyang, and so on. Every day, travelers worldwide arrive at Xi'an Xianyang International Airport to start their vacations and business trips in Xianyang. If you don't want to take a flight, coming to Xianyang by train is a good choice as well. On Trip.com, there are 33 recommended hotels in Xianyang. Xianyang has high quality and low-priced hotels. You can spend one night at a nice hotel for only 24 USD. 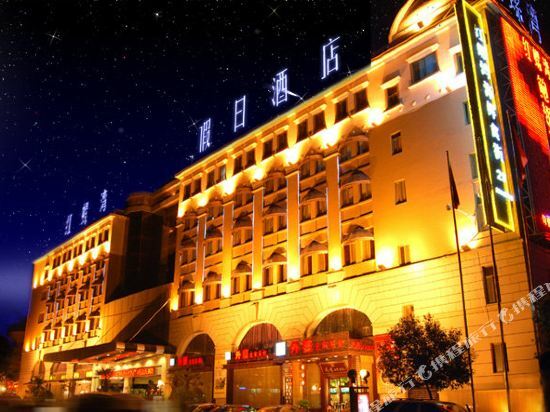 There are 1 five-star hotels in Xianyang at an average price of 71 USD per night. There are 5 four-star hotels in Xianyang at an average price of 43 USD per night. 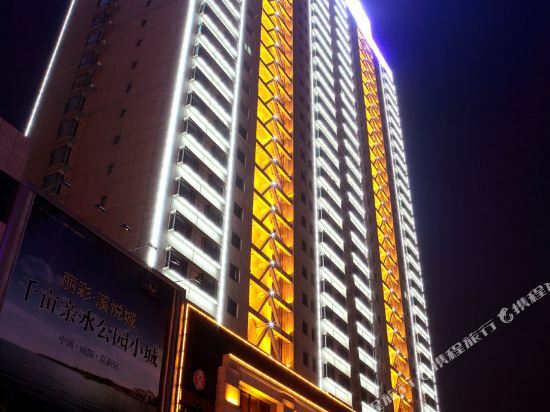 There are 10 three-star hotels in Xianyang at an average price of 25 USD per night. There are 15 two-star hotels in Xianyang at an average price of 17 USD per night. Xianyang has many well-known chain hotels which are suitable for both business trips and vacations. Hotels under the Hangting Hotel brand are a good choice. Those who favor Hangting Hotel can choose a hotel under its name. Hongluo Harbor Holiday Hotel in Xianyang is a favorite among Trip.com users. Enlightenment Science and Technology Convention Hotel is also one of the most frequently chosen hotels. If you stay at a hotel in downtown Xianyang, nearby attractions like Xianyang Confucian Temple can be your first stop. This area boasts amazing cultural sights with attractions like Bee Museum, Sanyuanxian Museum, Zhaoling Museum. For those interested in the outdoors, attractions like Gudu Park, Tianshuihu Park, Qindu Population Culture Park are excellent options. With a developed commercial area, visitors can head to Shuncai Business & Trade for a great shopping experience. Xianyang hotel information & deal: Check out room rates, photos, a map and reviews of hotels in Xianyang and find the best deals on Xianyang hotels. Trip.com offers big savings on online reservations for Xianyang accommodation. Book Xianyang vacation packages and Xianyang tours with huge discounts on Trip.com!